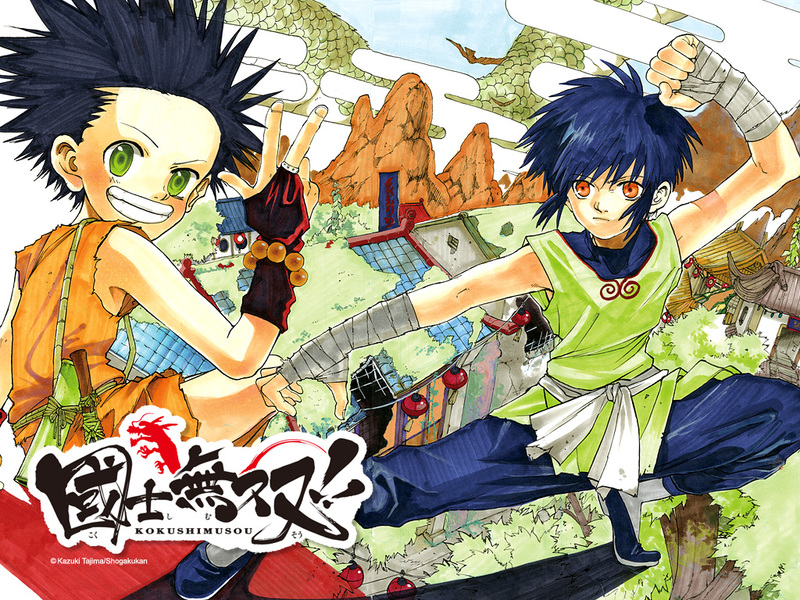 Kid is a boy who was trapped for years in the mysterious holyland of martial arts, Shangri-La, until he was rescued by a warrior named Low and brought into the warrior academy. Kid has always wanted to meet his father with whom he got separated 10 years, but in order to do that he must leave the holyland. However, warriors are forbidden to leave the academy, in fact for many people once you enter it is impossible to get out...! Fist against fist, an unprecedented Kung-Fu story begins!! Kokushi Musou!! began in issue 35 of Weekly Shonen Sunday, and is the first series of Kazuki Tajima. After reading the first two chapters it is evident that this series has an enormous potential, but this will all depend on whether Tajima can deliver dynamic action/battle scenes and have the artwork that help convey the story with as much impact as possible. So far so good.